Directions: As a dietary supplement, take 1 or 2 capusles daily or sprinkle in hot water as a tea. Caution: If you are pregnant, nursing or have high blood pressure do not take this product. 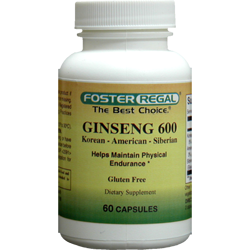 In May, 2002 the Farm Security and Rural Investment Act (Farm Bill) was passed regulating the labeling of ginseng. Siberian Ginseng Root, botanical genus Eleutherococcus senticosus must be labeled as Siberian Root, not Siberian Ginseng Root.